Today has been a very emotional day for me. Today I had to say goodbye to an Old Friend. 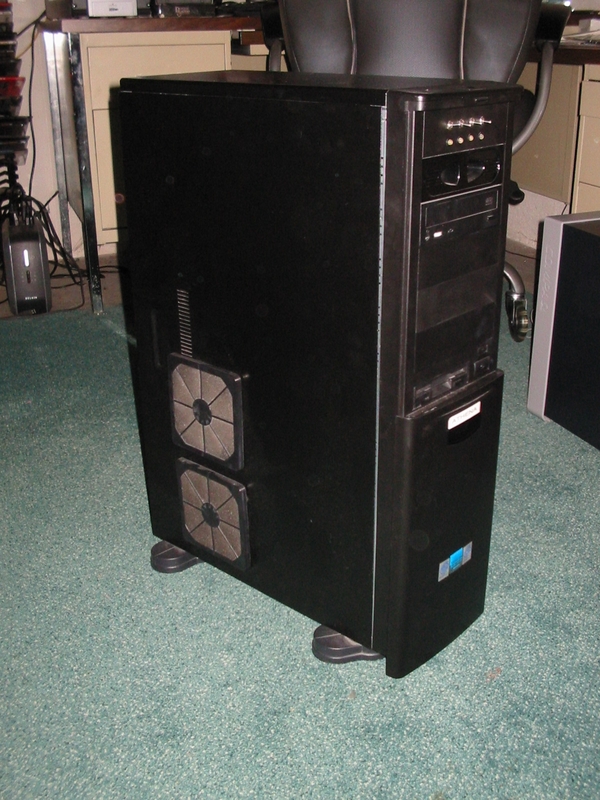 Her name was Athena, and for many years she was my prime (#1) computer. The one that lived upstairs while others languished in the basement. She was born in the spring of 1989, in England. At birth, she was a 486-66 DX2 machine with 4MB of RAM and Vesa Local Bus Graphics, at a cost of £1700. 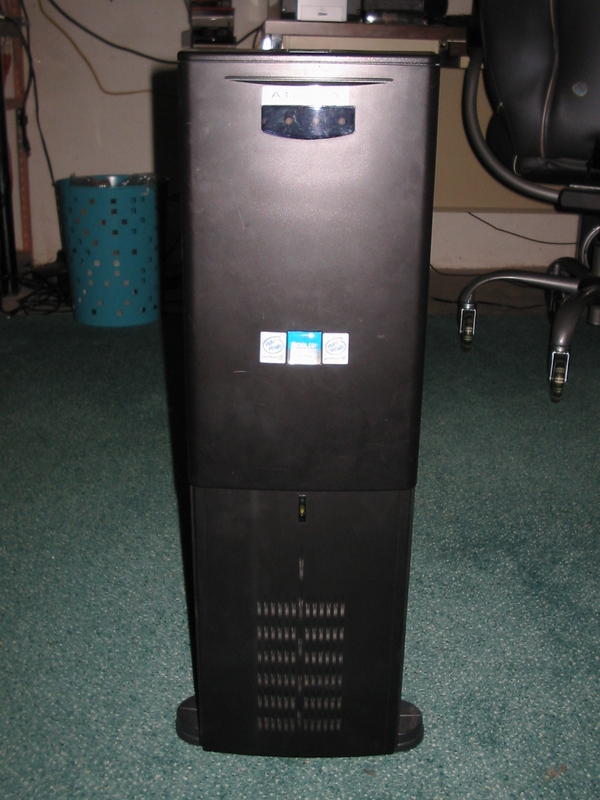 Although she was my third computer, she was my first IBM-compatible PC (the first two were a BBC Model B and an Atari ST). Over the next ten years she underwent many upgrades, coming to America with me in 1995. She was the first thing I unpacked when my stuff arrived from England. In May 2001, she was transplanted into a 3DCool Tornado 3000 Hydraulic Case. In June her Memory was upgraded from 64MB to 128MB. 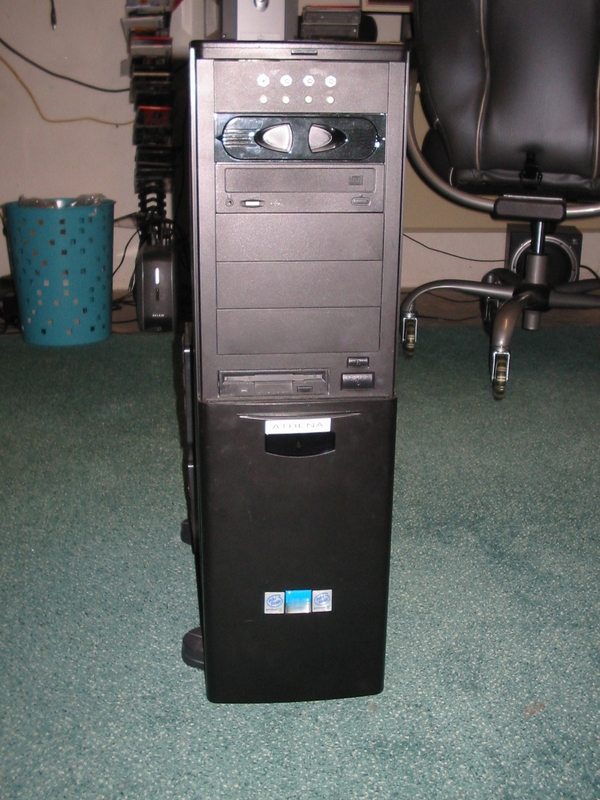 In January 2002 her Slot-1 Celeron A300 CPU was upgraded to a Pentium III/850MHz. In April a 3DFX Voodoo3 2000 video card was installed. In August her motherboard was replaced with an Acorp 6A815EPD Dual-CPU Socket-370 and a her video was upgraded to a Radeon 8500. In September her memory was doubled to 256MB, and the following month, Dual PIII-1GHz processors were fitted. A year went by before the final finishing touches were added; in October 2003, the memory was maxed out at 512MB. Finally, in the dying days of the year, her video card was replaced by a Radeon 9500. Of course there were many other upgrades and changes. For most of her life she ran RAID-1 — initially Dual 80GB, then Dual Seagate 240s — using a “hacked” RAID BIOS that unlocked the full functionality of the “lite” RAID controlled on the motherboard. As a result of running RAID-1, she never lost a byte of data, in spite of two catastrophic drive failures. 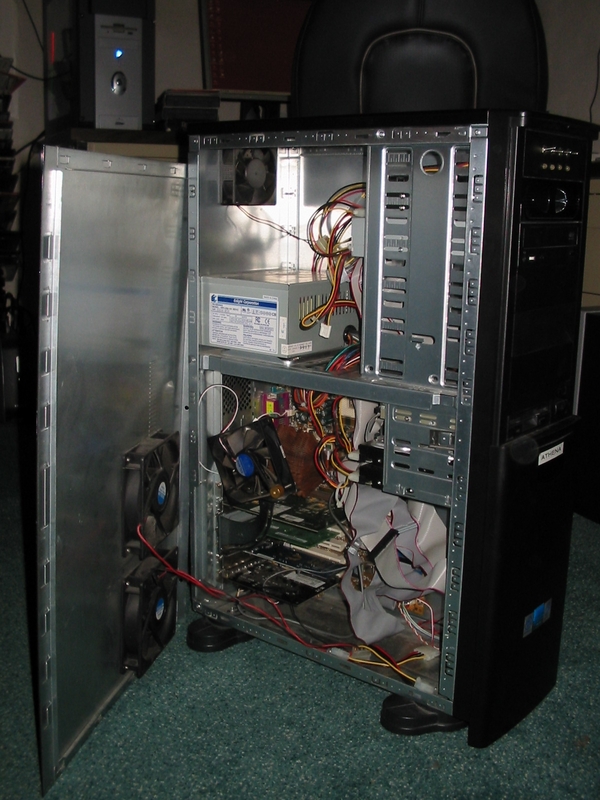 There were heat-sinks, fans, tape drives and something called a Baybus. She was doing SMP under Windows 2000 — long before it was fashionable and years before Intel and AMD concluded that they could not make CPUs any faster and started telling us that Multicore architecture was a neat idea. Even though I built a faster machine — Apollo — in 2003, Athena’s dual processors gave her the equivalent of four-wheel-drive — while not as flat-out-fast as her younger sibling, nothing ground her to a halt, so she remained “top dog” — the “prime” machine. 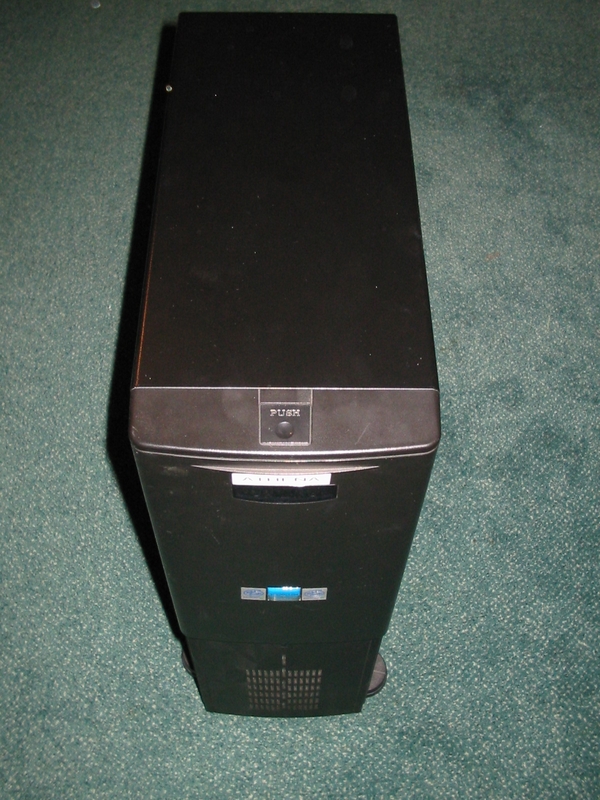 But all good things must come to an end; in August 2008, a new arrival — “Zeus” — become the Prime Computer, and Athena was moved to the basement to live out her remaining days in peace and quiet. Soon after that — some time in 2009, I believe — Athena froze up completely. A little experimenting showed that the CPU1 socket was dead; when I removed the CPU from that socket she powered up just fine, though Dual-CPU operation was no longer possible. I downgraded her drives from 2x240GB to 2×80 and kept her online only for experimental and research purposes. As time went by, her health slowly deteriorated; she routinely required a five-minute “warm-up” before she would boot. She was obviously living on borrowed time; so it surprised me not at all when she refused to boot at all. Today I took some farewell pictures, then I tore her to pieces and respectfully placed her motherboard in the bin; the rest of the bits — CPUs, Case, Drives, Power Supply etc — will be reused, recycled or given away. But there will never be another Athena.